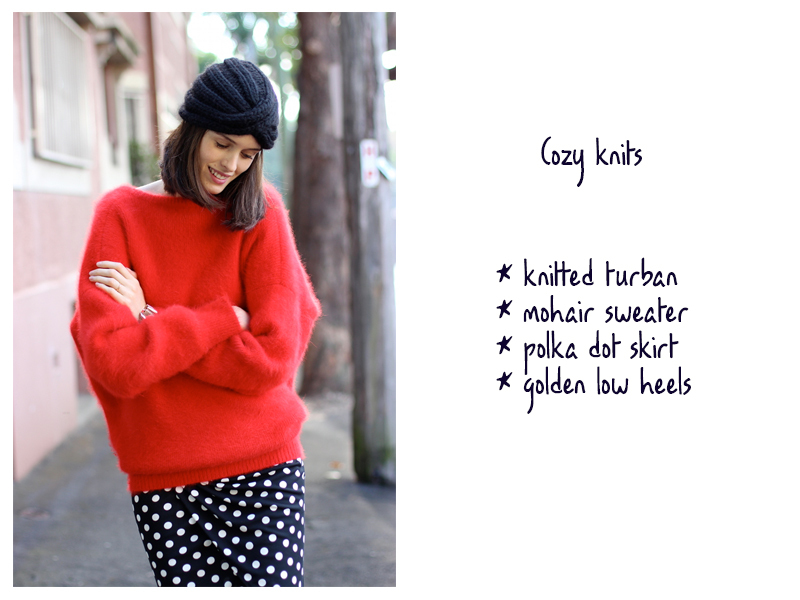 Keeping cozy is a priority, and we all know that knitwear is just the optimal amount. 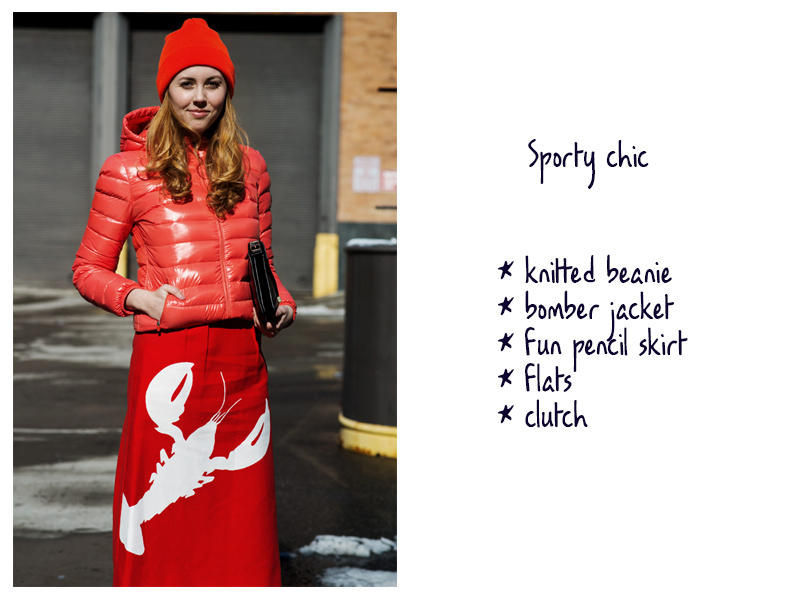 A brightly colored, mohair or angora oversized sweater looks perfect against a printed pencil skirt, while the knitted turban adds an extra touch of chic to the ensemble. An all black outfit is never outdated – especially when you masterfully mix textures within it. Leather shorts are beautiful against a fitted, wool blazer, whereas the golden accessories elevate the look to a new level of elegance. This casual mix shows how easily you can turn a summer outfit into a winter one. Keep the mini skirt and the floral shirt from warmer days, but layer them with opaque tights, a sweater and ankle boots. Now you’re ready to face the cold! In an otherwise simple, black and white look, a pop of neon goes a long way. We love how this gal mixed her edgy biker jacket with lace and comfortable shoes. If comfort and style are equally important to you, pair a funky pencil skirt with a bomber jacket and a beanie – extra points if they’re all similar shades! Sneakers or any other type of flats would look gorgeous here. 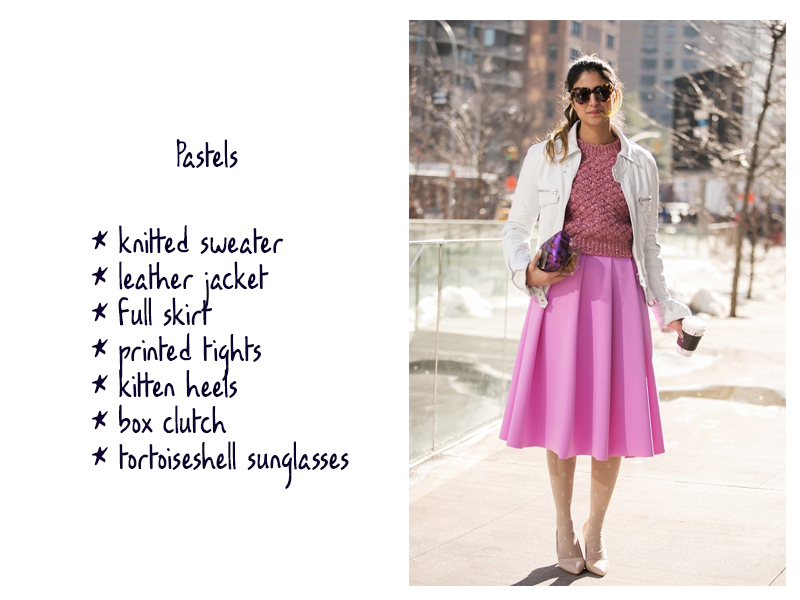 Pastels are an uncommon choice for winter, and that’s what makes them so special. An over the knee full skirt looks retro with kitten heels, but it suddenly gains a very modern touch when paired with a sweater and a leather jacket. Neutral colors are a classic, and that doesn’t make them old fashioned. Add red accents and some unexpected details, like a statement necklace and geometric cut skirt, to make the look modern. 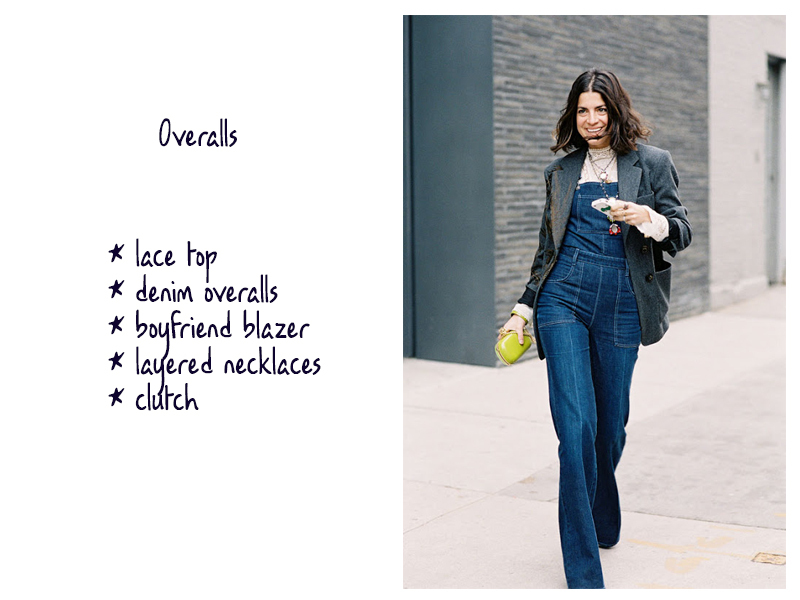 Who would’ve thought overalls will be back in our hearts and streets? 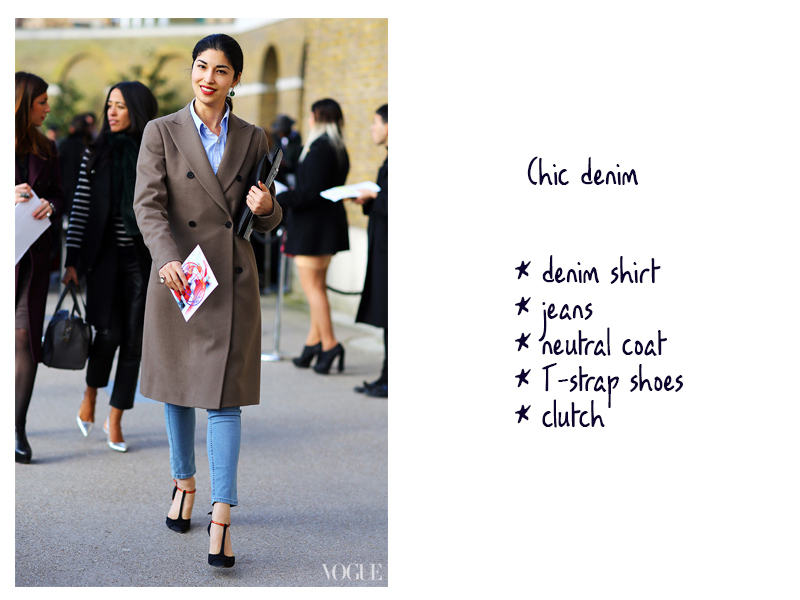 The denim one-piece looks stylish in a fit-and-flare cut, with a feminine lace blouse underneath and a masculine blazer on top. Speaking of denim, is there a way to wear it and still look perfectly polished? Just combine it with a classic, double breasted coat and some T-strap medium heels, and you’re done. For a relaxed look, opt for basics like bright denim and a striped top. 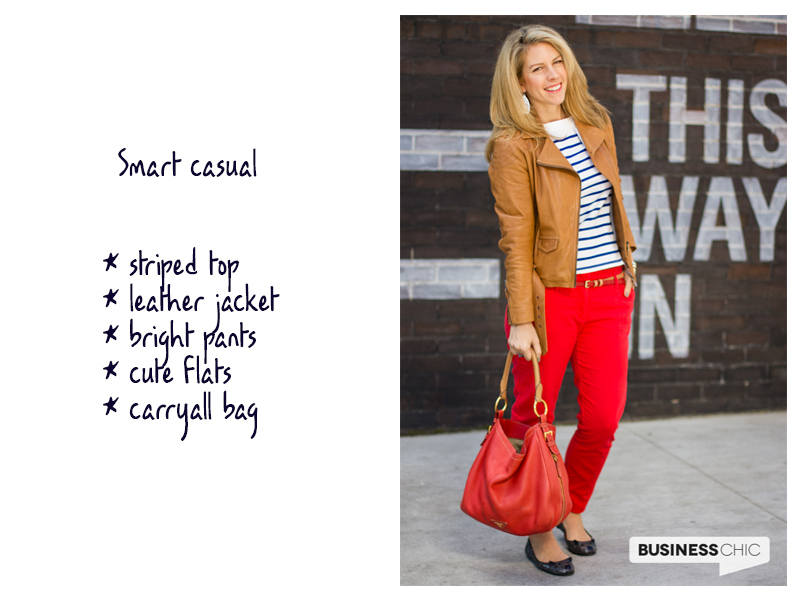 With flats, a leather jacket and your favorite colorful bag, you can wear this to the office as well as on the weekend. 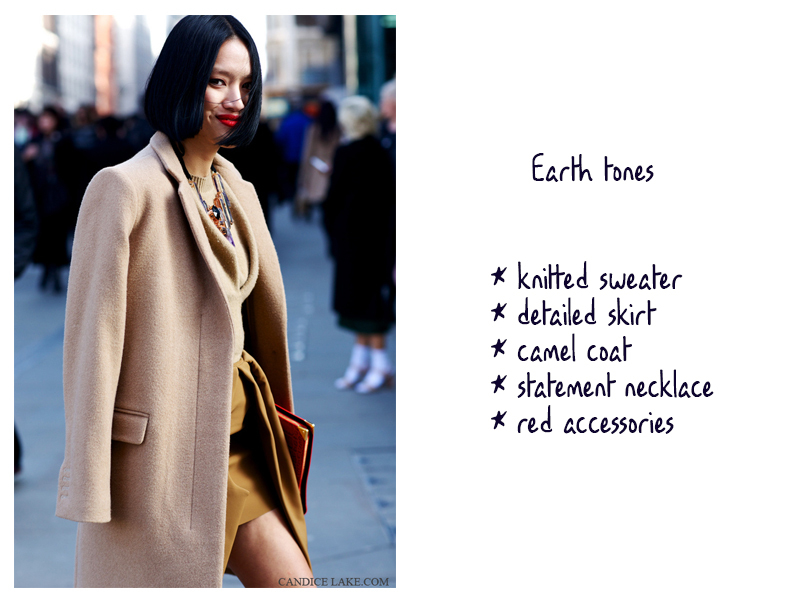 This entry was posted in Fashion by moribrown. Bookmark the permalink.